It’s important for a team to know how to work together, communicate, and collaborate during times of stress or high pressure. A great way to encourage this is to plan or host team-building exercises or team-based events outside of work. We offer amazing Orlando team building exercises for any group. These activities can be used for any type of event or entertainment— or even if you just want to have some fun with friends! Call us today at 866-511-4FUN or click here to receive an online quote. Close your eyes. Picture a room full of oranges. Visualize yourself surrounded by the lush, green Amazon Rainforest, breathing in the smell of flowers and rain. Imagine you’re relaxing in an indoor pool where everything is a cool blue. Now picture yourself laughing and eating hors-d’oeuvres at a fancy, black-tie event, but it’s actually a yellow-tie event. It’s still sophisticated, classy, and formal, but the room is overflowing with yellow linens, yellow desserts, and business executives and celebrities clad in yellow. Does it feel weird? That’s because color has a powerful psychological effect. A black-tie event is called that for a reason; take out the black, and it suddenly feels strange and unfamiliar. It’s important to choose the perfect color for every event. Take a look at how each color can greatly impact your event’s success and atmosphere! Blue: Blue is soothing and tranquil. Lighter blues inspire calm and relaxation, whereas deeper blues bring depth and intensity. Consider using blue for a business conference, team training, government, or medical event. Green: Green represents the beauty of the Earth. It is fresh, revitalizing, and inviting. Green is an excellent choice for an event that encourages growth and open conversation, such as a birthday party, a fundraiser for a wildlife nonprofit, or an eco-tourism event. Yellow: This color is often associated with brightness, cheer, and positivity! Since yellow can be a bit harsh on the eyes, consider using it as an accent with an opposite color like purple or with muted, earthy tones. Yellow is an excellent option for a child’s birthday or a launch party for new technology. Red: If you’re hosting an event where you’re hoping to encourage passion, strong emotions, or even someone’s appetite, red is a great choice! It also conveys drama and urgency. Choose red for entertainment, food, fashion, and real estate events. Purple: Hosting an event that calls for people to get crafty and creative? Purple could be a great choice, as its balance between blue and red stimulates the brain and relieves tension and stress. Use purple for events focused on yoga or aromatherapy. Because it’s viewed as a symbol of luxury and royalty, guests will feel special and regal. Orange: An event that’s warm and whimsical pairs nicely with orange! It’s often used as an attention-grabber and stimulates mental activity. When used as the dominant color in a color scheme, it may feel overwhelming, so consider including it as an accent color and pairing it with an opposite color, such as blue, or with warm browns and reds to help guests feel welcome and at home. Use for an event focused on sports or education. The Orlando event planning experts at Fun Planners can help you choose the perfect color for your next event, stretch your budget, plan delicious catering, and more! Contact us today to find out how we can help you plan your dream event. According to Myers-Briggs, there are 16 unique personality types. Curious about which type you are and how it affects your event planning career? Take the quiz here, and then read on to learn more! ISTJs are diligent hard workers. You feel stressed when things are rushed, so plan ahead by delegating tasks to trustworthy team members. ISFJs are loyal and understanding. Conflicts and last-minute changes stress you out. Prep multiple backup plans and train your team on conflict management. INFJs are compassionate and imaginative. You feel stressed in disorder and when others are negative. Plan ahead and invest in a trustworthy team that values kind, open communication. INTJs are innovative and independent. Procrastination and a lack of initiative stress you out. Hold weekly accountability meetings to check progress and reward self-motivated team members. ISTPs are analytical troubleshooters. Inefficiency and strict guidelines stress you out. Invest in a team that you trust and hold weekly accountability meetings to check progress. ISFPs are cooperative and loyal. You feel stressed when there’s a time crunch and a lack of understanding, so plan ahead and delegate tasks. Encourage your team to ask questions when they don’t understand and let them know you’ll do the same. INFPs are flexible, reflective, and empathetic. Open disrespect and disharmony stress you out, so invest time in a team that works well together. INTPs are independent and theoretical. Interruptions and a lack of logic stress you out, so schedule time for the unexpected in your daily life. ESTPs are energetic troubleshooters. Quick decisions and isolation stress you out. Since you work best on a team of active, task-oriented people, invest in a team that you trust. ESFPs are spontaneous, playful, and resourceful. You feel stressed by heavy data analysis and abstract information. Delegate financial and data responsibilities to a team member you trust. ENFPs are expressive and friendly. Over-commitment and endless detail stress you out, so delegate detail-oriented tasks to team members with those skills. ENTPs are strategic and enthusiastic. Isolation and deadlines stress you out, so hold weekly team meetings for accountability and to check progress. ESTJs are responsible and straightforward. Constant changes and inefficient workers stress you out, so prep multiple backup plans and invest in a quality team. ESFJs are warm, decisive team players. Isolation and uncertainty stress you out, so invest in a team with a wide range of skills. ENFJs are collaborative and persuasive. Since procrastinators, short-sightedness, and excessive criticism stress you out, take time to choose the perfect team of workers. ENTJs are assertive and strategic. Disorganization and others ignoring established guidelines stresses you out, so invest in an organized, professional team. If you’re looking for tips on themes, how to stand out from the competition, and more, contact us today to refresh your Orlando event planning strategy. Teams will have to rely heavily on communication and teamwork to skillfully navigate an obstacle course. This is a fun, challenging way to bring everyone closer together. Promote friendly competition among your organization by providing an incentive for the winning team. This is more of a reflective team building activity, and it will encourage openness and trust among your team members. Each person closes their eyes and recalls the most memorable, happy moments in their lives. These moments can include events such as the birth of their child, their wedding day, an unforgettable vacation, or even getting that job promotion they had been working so hard for. Then, with their eyes still closed, each person will narrow their answers down in response to this question: If you only had 30 seconds to left to live, which 30 seconds of your life would it be? Allow each member to respond and reflect. This activity will allow for intimate conversations that will let each person’s personalities and passions shine. A trust circle is a classic way to increase the bond between your team, and it will likely cause lots of laughter too. Have the team members stand in a circle, and randomly call two names (preferably two colleagues who don’t know each other well) and have them stand in the center of the circle. Assign one member to fall and the other to catch. The person falling is blindfolded, and when the rest of the group tells him or her to fall, she must completely rely on the other person. Although it may be tricky for your team to relax at first, this activity promotes the feeling of safety as well as trust among everyone. These simple ideas are a wonderful way to get you and your team together to create positive relationships while having fun at the same time. The Orlando team building enthusiasts at Fun Planners are here to help with your next event, whether it’s complex or simple! Help Your Team Start Spring On the Right Foot! Sp ring has sprung, and with it come endless opportunities for livening up your team with fun events and experiences. Unique experiences can help enhance your team’s chemistry and happiness. Leaders in Orlando team building, Fun Planners, share some ideas and themes to consider when planning team activities. Everyone loves a fun-filled day full of rides, games, and delicious food!. Fun Planners offers several different activity booths for a festive experience, including a dunk tank, a giant rock wall, cotton candy machines and more. Allow your team to relive childhood happiness with a day they won’t forget at the carnival! Your team members can use this as a chance to get to know each other while sharing quality time doing something everyone enjoys. When March and April roll around, it’s likely your team might get a case of nostalgia for spring break. Accommodate these feelings and plan a week where they can bring beach chairs, towels, wear casual clothes, and let them lounge around in flip flops. Hold meetings in chaise lounge chairs, and wear sunglasses inside. Have a concession cart that provides frozen drinks for the week. 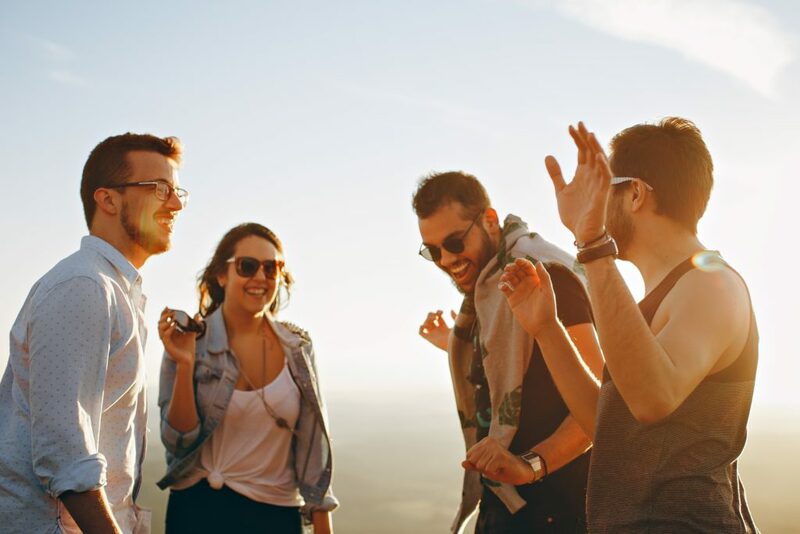 On the weekend, make a plan to hit a nearby lake or beach with your team to relive their college years, while bonding with their fellow team members. Whether good or bad dancers, your team will embrace the opportunity to let loose and dance it out together for a fun experience. You can make the dance party have an old fashioned theme and have all the team members dress for that appropriate era. Let Fun Planners provide a photo booth to capture the silliness, and use our advanced projector lighting system to brighten up the dance floor. These are just some of the many ways you can bring your team together this spring and encourage positivity and teamwork. A cooperative, harmonious team could be the difference between a successful or mundane work environment. Orlando team building experts at Fun Planners understand that team morale is extremely important, and we want to help you cater your event so that your team is content! Whether yo u believe that your team could work better together or maybe you just want your team to get to know each other, the Orlando team building experts at Fun Planners have all kinds of activities that will do the trick. To get you started, here are some suggestions for team building! Sometimes it’s good for everyone just to get outside, especially if your team is accustomed to office life and a monotonous work schedule and routine. Fun Planners has multiple activities where you can do just that. Rock wall obstacle courses, rock climbing, gladiator jousting, relay races, and human foosball are all examples of exciting adventures that you and your team can participate in to bond with one another while having a blast. Make your employees athletes for a day and be surprised by their hidden skills when you discover who excels at giant tricycles. When the games are silly, no one has to worry about being the best runner or who’s best at sports because, most likely, no one has ever had to compete in bigfoot relays, oversized puzzles, or riddles. These fun games will help your employees relax as they all share the experience of trying something they’ve never done before. If you and your team are looking for a way to compete and bond without getting too physical, then a game show might be the right team building exercise for you. You could put your own twist on a classic game show by making it relevant to your company. Maybe you want to familiarize your team with the company’s values or mission, so make it a category on Jeopardy! You might have an office where separate departments don’t often interact, so set them up to play Family Feud and put their teamwork to the test. Game shows are a fantastic way to build team chemistry! Positive team chemistry is crucial to any corporation, and these are just some of the ways that Fun Planners can help to initiate a bond amongst your team. If you have a happy, well-functioning team, your organization will benefit enormously. Let the Orlando team building experts at Fun Planners help you and your team organize events like these. It’s a new year, which means a fresh start for you and your work team. Embrace the opportunity to bring your team closer than ever to conquer any challenges that 2017 may bring. Orlando teambuilding experts at Fun Planners have all the resources to make your team feel closer than ever using a variety of different activities. Here are four ideas to consider when planning upcoming events for your team. These mysterious, real-time puzzles have become increasingly popular as a way to build team chemistry and utilize logic, patience, and strategy. The way it works is your team will get locked inside a room for one hour, and the only way for them to escape is to find the key to let them out. (This event may not be recommended for any claustrophobic or easily-frightened employees, so make sure to ask the team first before booking). This is no walk in the park, because the key will be difficult to find.. Finding it involves its own puzzles, clues, and mysteries. It’s a difficult challenge and requires team work, group brainstorming, and partnership in order to find a way out. Bring your team to a local karaoke bar, give them a mic, and get ready for the concert!. Karaoke will undoubtedly elicit long-lasting laughter and bonding within your team. This will be beneficial for some team members to get out of their shell; it will break the ice, and serve as a way to let loose. Here’s another event that can significantly boost teamwork and communication skills. Organize a scavenger hunt around your city, and break your team into groups to make it into a friendly competition. This will be a refreshing, challenging way for your team to get closer and work together in a different kind of environment away from the office. Last but not least, arrange a day for your team to go out and volunteer together. This is not only a rewarding experience, but this team building experience will mutually benefit an organization who truly appreciates the help. You can round up everyone to pitch in a gift to a local hospital and personally deliver them (this can even be drawings and toys for kids) or go to a nonprofit organization like Ronald McDonald House to cook a meal for the families staying there. Organize a big dinner with your team to celebrate the day’s success. It’s imperative that your team gets off on the right foot this year, so sprinkle some good times and laughter into your team’s work life. The Orlando team building experts at Fun Planners encourage corporate camaraderie and are here to help you build your team chemistry! Most can agree that there is value in Orlando team building, as it allows organizations to be more productive, effective, and successful. However, when employees hear that their participation in an upcoming team building event is required, there are sure to be more eye rolling than high fives and cheers. So, what is an organization to do? Here are some great ideas for team building that your employees will love. Office Trivia: For this activity, you will need to come up with 20-25 questions to ask your employees, all pertaining to your company. Think of more general questions, such as “What year was the company founded?” to “What is the exact number of people in the Human Resources department?” But, add some strange and out-of-the box questions, such as “What is the most popular month for employee birthdays” or “What is the most ordered item, per month, for office supplies?” You can have this be an individual activity or create teams. Escape Rooms: By now, we are sure you have heard of those escape rooms that are increasing in popularity across the country. If you have been living under a rock lately, these rooms are an adventure game that challenges those locked in the room to use provided hints to escape the room in a given amount of time. Have your employees form teams, and the one that gets out in the shortest amount of time, wins. Marshmallow Tower: For this activity, you will need about 20 sticks of uncooked spaghetti, one roll of masking tape, three feet of twine, and one marshmallow. Have your employees form groups and whoever can construct the tallest tower wins. But here is the catch: the marshmallow has to be on the very top, AND the tower must stand on its own. By using one of the above ideas for your Orlando team building exercise, you can help change the perception that these types of company-strengthening activities are anything but boring! For even more ideas on how to have a successful team building event, please browse the Fun Planner blog. And if you need help with your team building exercise, contact Fun Planners at 407-955-4949, or reach out to us online.